ABS Rules and Guides - ABS develops and verifies conformance with standards for design, construction and operational maintenance of marine-related facilities. These standards are are derived from principles of naval architecture, marine engineering and related disciplines. ABS has close to 100 rules and guides available. Rules, Corrigendas, Rule Change Notices (RCN) and updates to ABS Rules & Guides are available to download. California Harbors and Navigation Code - Links to all chapters. California State Lands Commission (CSLC) - Established in 1938 with authority detailed in Division 6 of the California Public Resources Code. Assisted by a staff of more than 200 specialists in mineral resources, land management, boundary determination, petroleum engineering and the natural sciences the Commission deals with energy resources, environmental management, granted lands, hazard management, oil spill prevention, and more. See Regulations page. Code of Federal Regulations Title 33 - Navigation and navigable waters. Code of Federal Regulations Title 46 - Shipping. Compilation of Maritime Laws (2008) - Provided by the U.S. Department of Transportation, Maritime Administration. Congressional Record (Bound) - The official record of the proceedings and debates of the U.S. Congress 1999 to 2001. Congressional Record (Daily) - The official record of the proceedings and debates of the U.S. Congress 1994 to present. Congressional Record Index (CRI) - An index of the daily issues of the Congressional Record. It is published biweekly by the Joint Committee on Printing when Congress is in session. The CRI consists of two parts: the index proper, which lists individuals, organizations, and topics mentioned in the Congressional Record, and the History of Bills, which lists legislative actions reported in the Congressional Record. The History of Bills is maintained as a separate database on GPO Access. Det Norske Veritas - An independent foundation with the objective of safeguarding life, property, and the environment. Our history goes back to 1864, when the foundation was established in Norway to inspect and evaluate the technical condition of Norwegian merchant vessels. 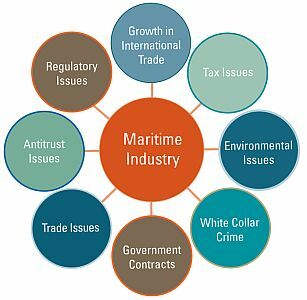 Distribution Publications, Inc. - Provides ocean carriers, NVOCCs and marine terminal operators with a convenient means for maintaining public tariffs in compliance with the regulations of the U.S. Federal Maritime Commission (FMC). Federal Maritime Commission (FMC) - An independent regulatory agency responsible for the regulation of oceanborne transportation in the foreign commerce of the U.S. The principal statutes or statutory provisions administered by the Commission are: the Shipping Act of 1984, the Foreign Shipping Practices Act of 1988, section 19 of the Merchant Marine Act, 1920, and Public Law 89-777. Select the "Electronic Reading Room" menu at FMC's home page to get access to: Docket Logs, Proceedings, Proposed and Final Rules, Invesitigations and other information made public by the FMC. Federal Maritime Commission (FMC) Rules Implementing the Ocean Shipping Reform Act of 1999 - The complete text of the final rules issued by the FMC in Docket Nos. 98-21 and 98-25 thru 98-30. GPO Access - A service of the U.S. Government Printing Office, GPO is the focal point for printing, binding, and information dissemination for the entire Federal community. Federal Administrative Decisions and Other Actions - Links to other administrative actions which are outside the scope of the Code of Federal Regulations or the Federal Register. Federal Rules of Appellate Procedure - Appellate procedure consists of the rules and practices by which appellate courts review trial court judgments. Federal Rules of Civil Procedure - These rules govern the conduct of all civil actions brought in U.S. federal district courts. Federal Rules of Evidence - These rules govern the introduction of evidence in proceedings, both civil and criminal, in U.S. Federal courts. Federal Maritime Commission (FMC) Regulations - This document contains the full text as published in the US Code of Federal Regulations 46-CFR Part 500 Series. Importer Security Filing and Additional Carrier Requirements Fact Sheet - These regulations specifically fulfill the requirements of the Security and Accountability for Every (SAFE) Port Act of 2006 and the Trade Act of 2002, as amended by the Maritime Transportation Security Act of 2002. They are designed to help prevent terrorist weapons from being transported to the United States by requiring both importers and carriers to submit additional cargo information to U.S. Customs and Border Protection (CBP) before the cargo is brought into the United States by vessel. Jones Act (1920 and revisions) - Full Text. Law and Regulations and Safety - U.S. Coast Guard site. Lloyd's Register - An independent risk management organnization providing risk assessment and risk mitigation solutions and managmenet system certification around the world. Maritime Transportation Security Act - International Ship & Port Facility Security Code (MTSA-ISPS) - Up-to-date information on implementation and enforcement of the maritime transportation security regulations found in Subchapter H of Title 33, Code of Federal Regulations, the various parts in Title 46 dealing with the Automatic Identification System, and the International Ship and Port Facility Security (ISPS) Code. Office of Oil Spill Prevention and Response (OSPR) - California State agency with both major pollution response authority and public trustee authority for wildlife and habitat. Also see OSPR Regulations. Office of the Law Revision Counsel: U.S. Code (U.S.C.) - The Office of the Law Revision Counsel prepares and publishes the U.S. Code. Search the U.S. Code. Download the United State Code. Shipping Act of 1984 - The full text of the Shipping Act of 1984 with amendments made by the Ocean Shipping Reform Act of 1998 (OSRA). Supplemental Rules for Certain Admiralty and Maritime Claims - From Federal Rules of Civil Procedure. Maintained by Cornell Law School's Legal Information Institute (LII). THOMAS - U.S. Congress legislation on the Internet. U.S. Code Classification Tables - These tables show where recently enacted laws will appear in the U.S. Code and which sections of the Code have been amended by those laws. The tables sorted in Public Law order may be used to identify the sections of the Code affected by a particular law. The tables sorted in Code order may be used to determine whether a particular section of the Code has recently been amended. U.S. Code of Federal Regulations (CFR) - CFR services available online via GPO Access. U.S. Code Title 9 - Arbitration. U.S. Code Title 14 - Coast Guard. U.S. Code Title 19 - Custom Duties. U.S. Code Title 28 - Admiralty Jurisdiction - Admiralty, maritime and prize cases. U.S. Code Title 33 - Navigation & Navigable Waters - Navigation and Navigable Waters. U.S. Code Title 43, Chapter 29 - Submerged lands. U.S. Code Title 46 - Shipping - Shipping. U.S. Code Title 46 Appendix - Shipping Sec. 183 - Limitation of vessel owner's liability. U.S. Constitution - U.S. Constitution with annotations from the Congressional Research Service Library of Congress, links to cited Supreme Court cases, and keyword search service.